This TV Stand Can Handle Crowds! 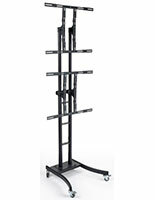 Where To Buy TV Stands For 50" Television Online That Display 2 On a 10-Foot Rack! 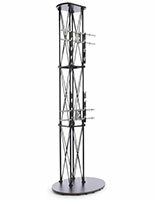 Buy Online at TVStandsOnly.com! 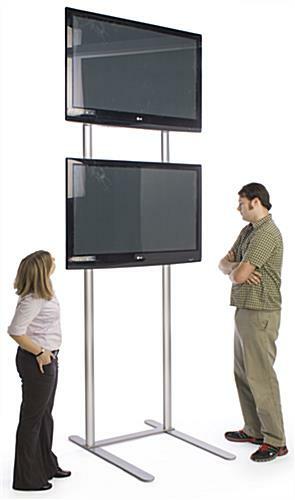 This TV stand rises above other promotional displays, and above eye level in any crowd! The TV stand, flat panel mount has (2) plasma TV mounts that can display your NEC, Vizio, or other monitors either vertically or horizontally. 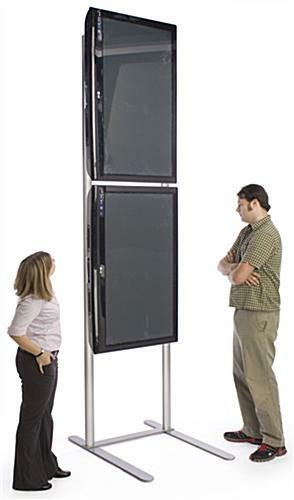 Our company sells this 10-foot TV stand for use at trade shows or large retail venues, because its modular construction allows you to easily transport and set it up. 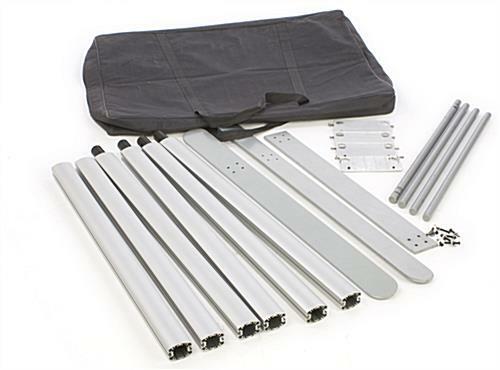 The TV stand, also known as a flat screen bracket, also includes a sectioned tote bag to keep packing and transport simple. 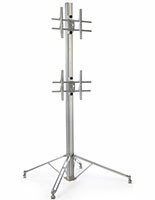 Bulk TV stands for sale with 50" LED TV mount feature (2) plasma mounts (compatible with 200mm x 200mm to 600mm x 400mm). 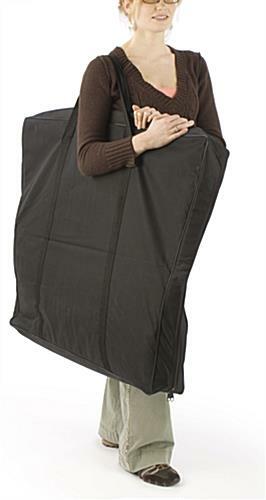 Each can hold a television up to 60" and under 80 lb. This TV stand, also known as a flat panel bracket, uses VESA specifications that correspond with those for most standard television types and sizes. 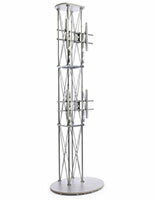 This TV stand, plasma monitor holder is made of aluminum, with a steel base for added strength. Our purchasing staff selected this TV stand for its individually height-adjustable mounting brackets, which move up and down the unit's side grooves. After you adjust the brackets' height as desired, you can use the Allen wrenches to tighten the screws. These Allen wrenches are attached to the TV stand to prevent their loss during travel. 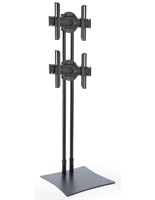 This TV stand, such as a flat panel monitor mount, gives you the ability to heighten the visibility of your digital promotions and video presentations. 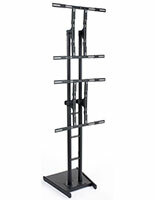 Please Note: This LCD TV stand can be set up by (1) individual in under 10 minutes; however you will need at least (2) people, as well as ladders and/or professional equipment, to mount the flat panel televisions to each bracket.